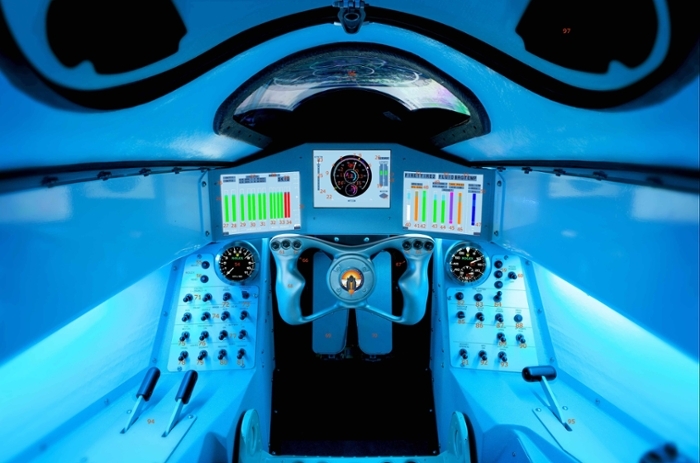 Can supercomputers help this car break the land speed record? Anyone who’s had the chance to do so can attest that driving 100 mph is pretty exhilarating. At that speed, your car travels 29.4 feet every time you blink. But what happens when you strap a rocket to that car and push it to 1,000 mph? Supersonic shockwave. 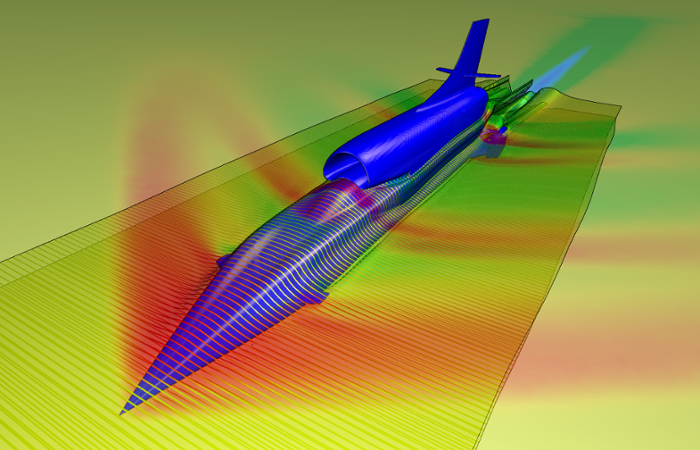 The Bloodhound Project is building a car that can reach speeds of 1000 mph. Ben Evans explains some of the engineering challenges this presents. 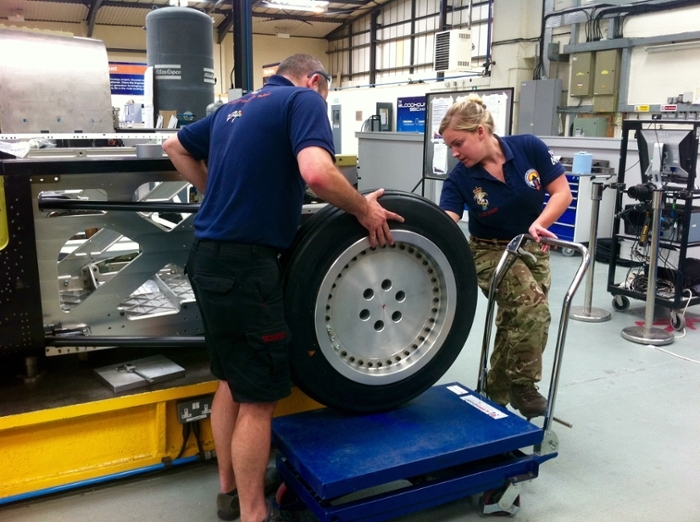 Courtesy Bloodhound SSC. That’s the question The Bloodhound Project is trying to answer. This ambitious initiative is bent on breaking the land speed record by building a car that can reach 1000 mph. The current record holder is the Thrust SSC team, whose jet-propelled/supersonic car reached a maximum speed of 763.035 mph on October 15, 1997. It was also the first to break the sound barrier. Dr. Ben Evans, engineering professor at Swansea University in Wales, explains the challenge of trying to improve upon that record by more than thirty-five percent. Despite the many possible ways to go wrong, The Bloodhound Project is pushing forward with the goal of improving upon what came before them. And supercomputers are an essential part of their plan. 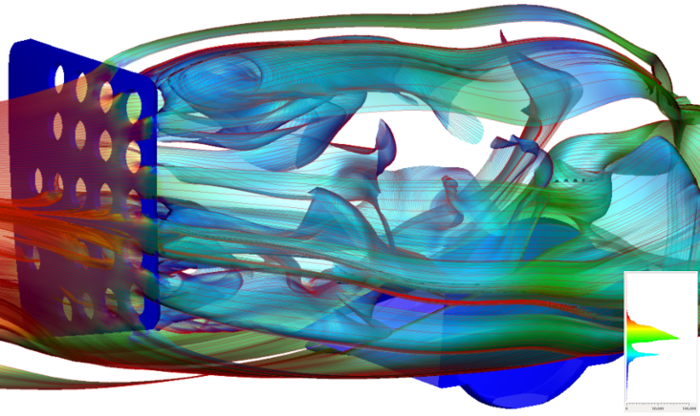 Evans concentrates on computational fluid dynamics (CFD), a field of study that uses specialized software to solve problems relating to gas or liquid flows. The team relied on the Sunbird supercomputer at Swansea University, part of the Supercomputing Wales project. With 126 nodes, totaling 5,040 cores, and 48.384 TB of total memory, Sunbird was recruited to model the density and the viscosity of the air. Basically, Evans was looking at how friction and air shock-waves affect the performance of the car. Even with simplification, there’s a constant balancing act between the accuracy of the program and the cost of the computing resources. Whispers of The Bloodhound Project first began in 2007. The UK government at that time noticed a lack of engineers and realized they needed an exciting project to inspire the next generation. They hit upon the 1000-mph car initiative, and it was formally launched at the end of 2008. As even casual financial historians will note, that wasn’t the ideal time. “One of the big challenges we had was just getting companies in the midst of a global financial recession to say ‘Yeah, we’ll stick a whole bunch of money into a fairly speculative project like a land-speed record attempt,’” says Evans. Progress was slow, and a projected two-year design process ballooned into eight. To make matters worse, the project ran out of money in the summer of 2018. Thankfully, an investor stepped in at the last moment, and it now looks as though The Bloodhound Project has a bright future. “Given that the car effectively got mothballed, I think it's going to take us a while to get everything up and running again in time for high-speed testing to begin later this year,” says Evans. Human beings are special. We have a brain unlike any other animal, and we’ve been able to use it for amazing endeavors. Building a 1,000-mph car isn’t just about going fast. It’s a celebration of our intellect, a testimony that we can conquer the impossible through a sheer force of will. If that doesn’t excite you, then science may not be for you.